Ellis Fox > Blog > Partner With Us > Is the perfect storm building in the UK’s construction industry? With more than 154 000 construction workers in the UK currently from the EU (According to ONS data for the period 2014 to 2016), and 500 000 senior workers expected to retire from the industry in the next decade, the construction industry will be hard pressed to avert a skills shortage in the short and medium term. 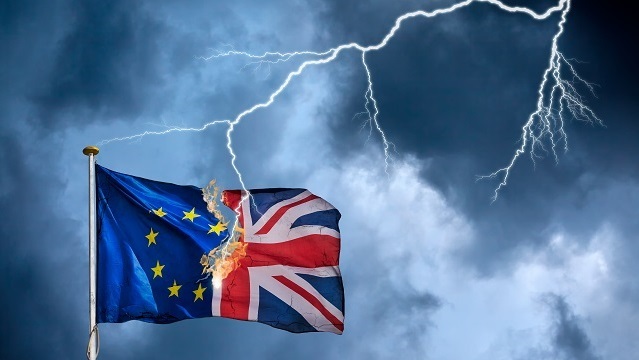 Ordinarily the retiring workforce alone would represent a challenge for the industry, but combined with Brexit and the associated and yet unknown workforce complications this will bring with it, the perfect storm is building. If the UK loses all the senior expertise as well as access to skilled EU workers, the construction industry will be in trouble. The UK government recently announced a drive to develop skills in the construction industry and has promised an investment of £22 million to facilitate this. But will these efforts be enough to fill the gap? Especially when the full implications of Brexit on the workforce and the construction industry as a whole are still unknown. Opinions are that more should be done to encourage young people to develop their careers in construction. Even though it may take time for them to gain the level of expertise needed at a senior level, it is important to stimulate the workforce pipeline at an entry level. More importantly, it is critical for companies to institute policies to ensure that the senior level expertise is filtered down through mentoring and career development programs so that there can be a succession plan for when senior staff do exit the industry. Alternatively, an interim solution may be to look to transfer skills from related industries. After all, leadership qualities are fairly similar at a very senior level and these people usually have the aptitude to quickly pick up on industry specifics to be able to operate effectively. A more controversial aspect is the view that more skills could be made available to the industry if gender biases are addressed. Many female engineers, quantity surveyors and project managers enter the industry, only to leave within a few years because of the biases that make it a challenging environment to work in. While the way forward may be unclear at this point, what is obvious is that something needs to happen, the industry cannot afford to hope that the crisis will dissipate on its own. Previous post: To rehire or not to rehire – is it a smart move? Next post: What will it take to make the Heathrow expansion a success?